There are lots of ways to make a decision. We can act on our impressions or intuitions. Or, we can gather data and let the evidence guide our decisions. I call this a data-driven philosophy. This week, Amanda Radke and Kris Ringwall gave their perspectives on a data-driven bull purchase. Both are great articles that I encourage you to check out. Here is my take—we need to make our decisions on a single metric that takes all available information into consideration. These metrics are expected progeny differences (EPDs) and economic indexes. EPDs combine performance records, information from relatives, information from correlated traits, and—in the case of genomic-enhanced EPDs—results from DNA tests. 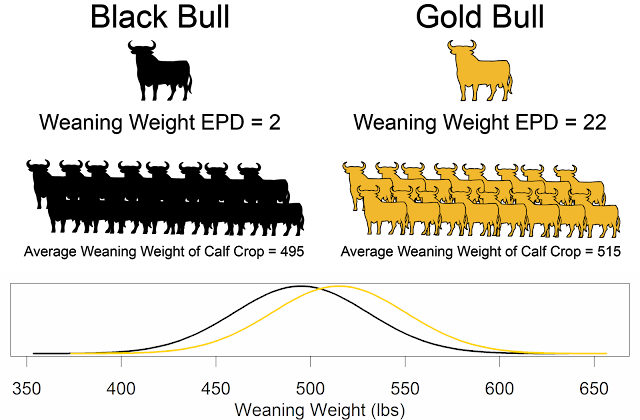 EPDs are the most accurate measure for a particular trait of the bull's merit as a sire. Economic indexes combine multiple EPDs and economic values of each trait to create a single measure of the bull's merit for increasing a producer's profit. We should not be selecting on performance data, because these measures are confounded with the environment in which that bull was raised. Economic indexes, because they combine various forms of data, should be the main source of information when making selection decisions. One of the traits that beef breed associations do not estimate EPDs for is structural correctness. 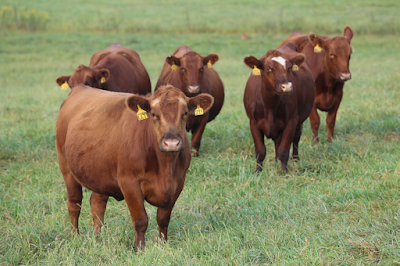 Currently, beef producers must visually inspect animals to make sure they are structurally sound. Sam Comstock gave a presentation during the NBCEC Brown Bagger series about how the dairy industry estimates genetic merits for structural soundness. Bull buyers that would like to take less risk when purchasing a bull should look for producers who provide genomic-enhanced EPDs for their sale offerings. Genomic-enhanced EPDs are more accurate than pedigree-based EPDs because more information was used when estimating the EPD. The more reliable the EPD (i.e. accuracy), the less that value is going to change over time. When the EPD accuracy is higher, the producer can be more confident that the bull will meet his expectations. Let's continue to strive for data-driven decision making in animal agriculture.